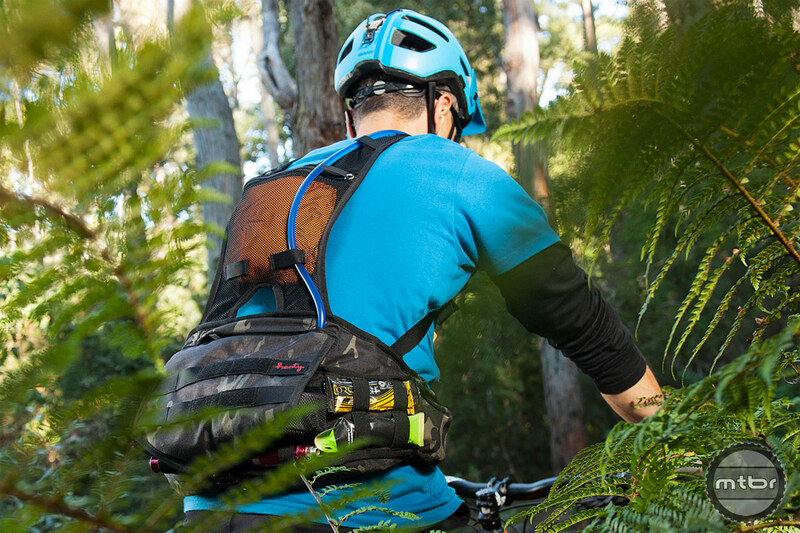 While many laughed at the prospect of wearing a hip pack, they are now a common site on the trail. 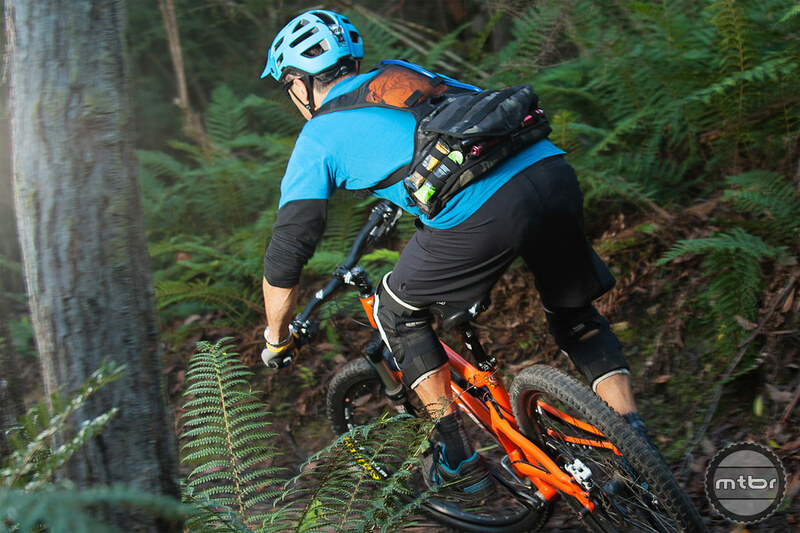 Riders figured out that keeping pack weight low on your back is more comfortable, and in hot regions the reduced coverage on your upper back helps keep you cooler. 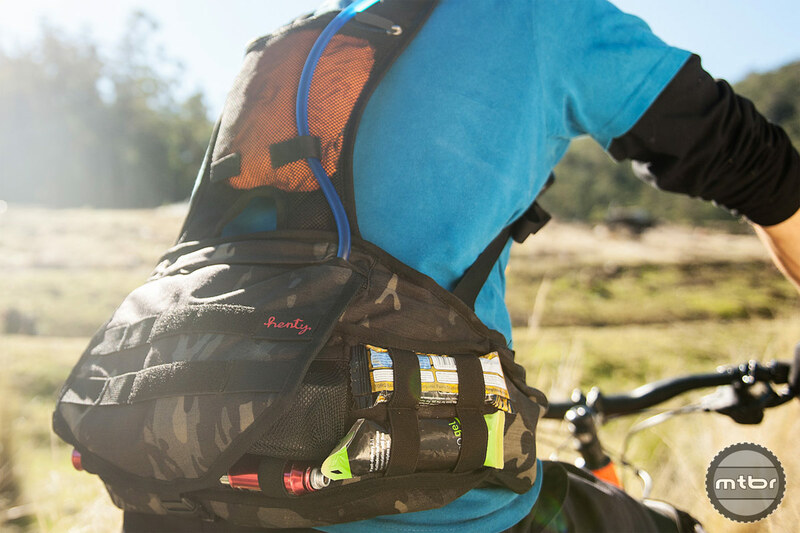 The Henty Enduro Backpack provides the benefits of a hip pack with the stability of a backpack. Hip packs keep the weight of your gear low on your back, which can reduce back pain and overall fatigue. But they tend to bounce around or slip if not cinched tightly. The backpack portion of the Henty is made of an open mesh fabric that offers superb ventilation and a place to store a rain jacket. 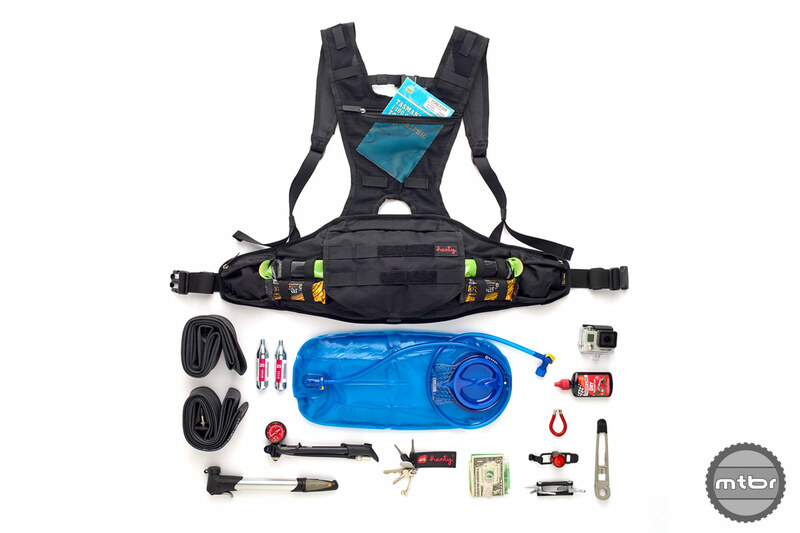 The shoulder straps support the pack weight and keep it from sliding down your hips. Price is $110 for black, $130 for camo. Press play to learn more. For more information, visit henty.cc. This article is part of Mtbr’s coverage of the 2018 Sea Otter Classic in Monterey, California. For more from Sea Otter CLICK HERE.